Providing opportunities beyond the classroom for students to develop their academic, artistic, and athletic talents, as well as grow socially and emotionally, is a hallmark of the SAA experience. ​We look forward to providing a wonderful extracurricular experience to our student body, whether it be on stage, in the lab, on the field, or somewhere in between. Extracurriculars are led by SAA faculty/staff, parent volunteers, and enrichment partners who are deeply committed to the education and development of our students beyond the classroom. Click here to learn more about what makes SAA extracurriculars so unique. ​Contact information for each extracurricular leader can be found by clicking on the links below. 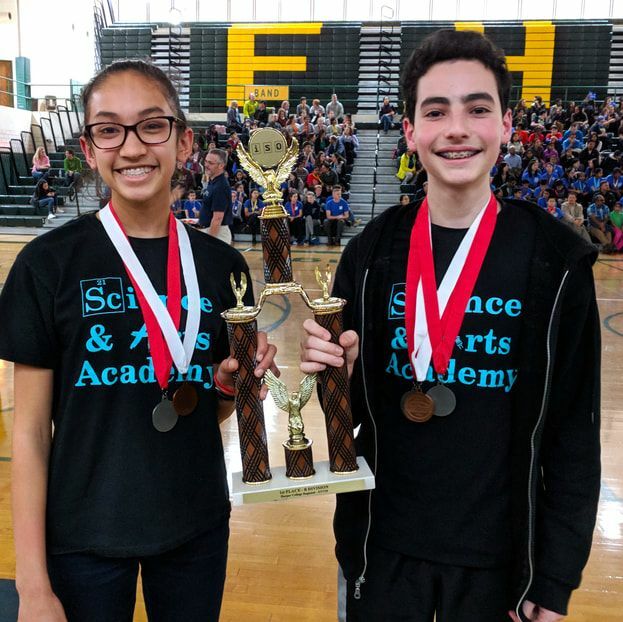 For general questions, registration issues, or to propose an idea for a new extracurricular, please contact Zach Elkin, Director of Auxiliary Programs, at zelkin@scienceandartsacademy.org or 847-827-7880. Online registration will be available beginning Friday, August 3rd at 2:00pm. Registration is required for most extracurriculars, and spots fill on a first come, first served basis. As the school year progresses, families will be notified when registration opens for additional extracurriculars. Some extracurriculars do not require an online registration. Click on the extracurricular offerings below to access descriptions, meeting details, and contact information. Most after school extracurriculars start immediately following the end of the school day, between 3:30-3:45pm. Other extracurriculars meet before school or during the lunch period. Please refer to the School & Extracurricular Calendar for specific dates/times/locations. This calendar is updated throughout the school year. SAA also offers private music and voice lessons. Click here to learn more.